How’s this for a view from your hotel window? 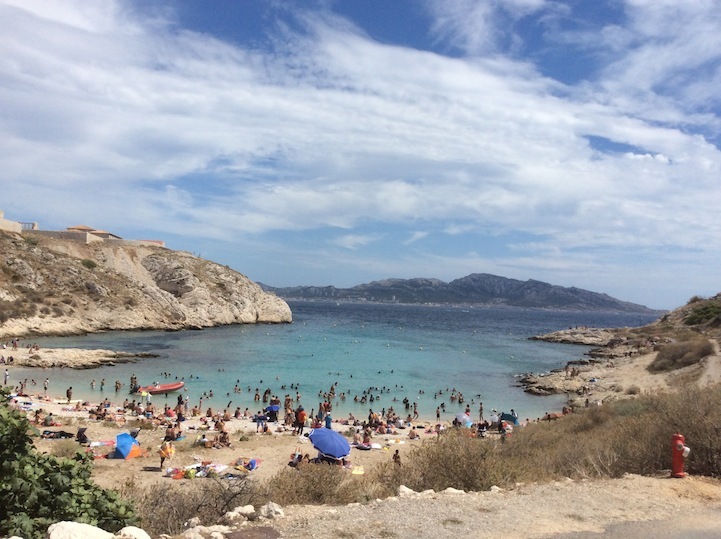 If you’re staying in sunny Marseille, and you like to be slap bang in the middle of what’s happening, then we think it’s hard to beat. 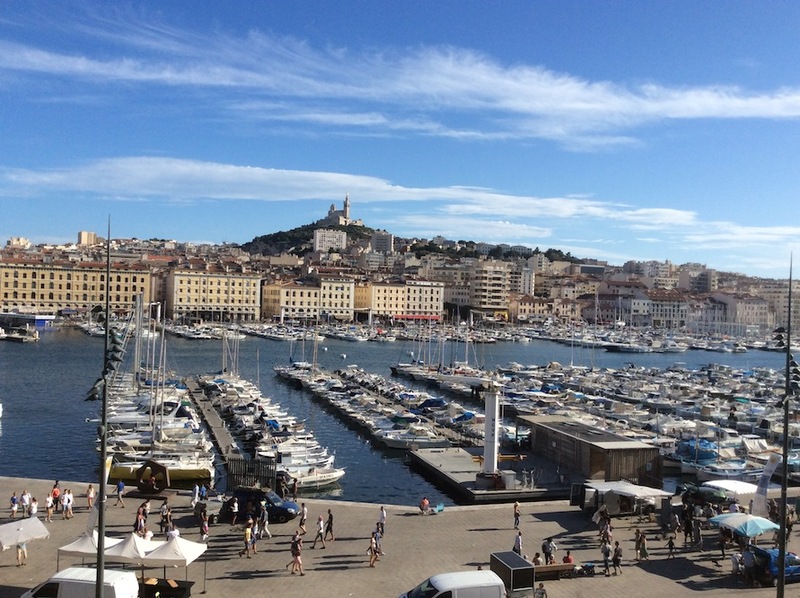 Our hotel – Résidence du Vieux Port – overlooked The Old Port (Vieux Port), and this was the sight we woke up to – vistas over the harbour and onto the highest point of Marseille – the church of Notre Dame de La Garde (topped by a gilded statue of La Bonne Mere) beyond. By day there’s a bustling market lining the road in front of the hotel and by night there are street performers, musicians and a lively buzz. 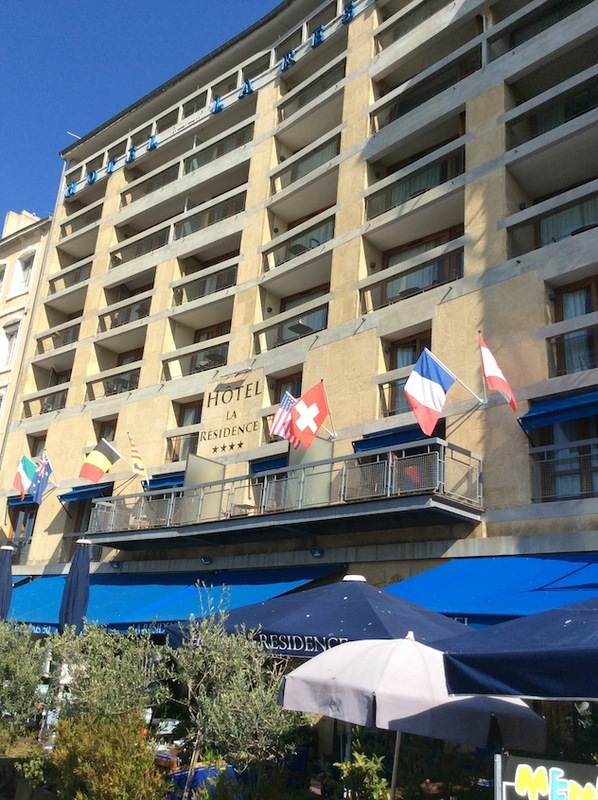 Where better to soak up the vibrant atmosphere of The Vieux Port? 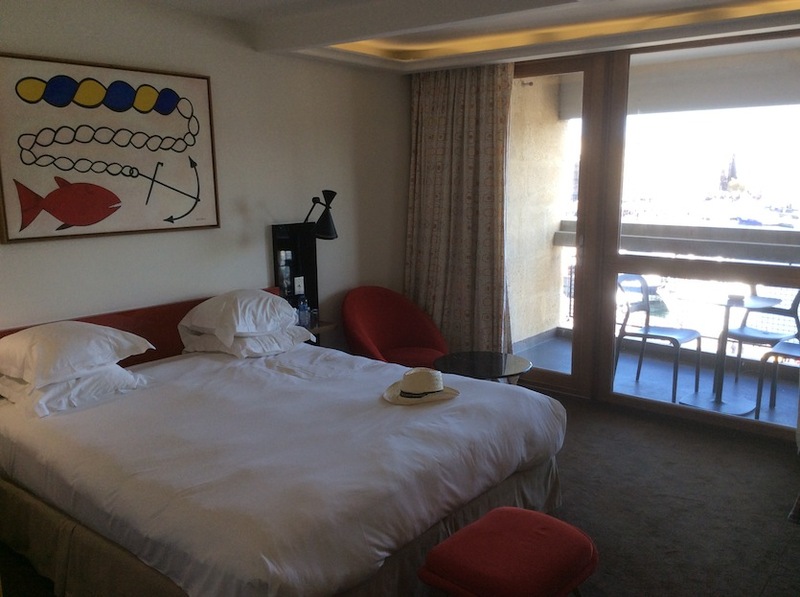 Family ensuite apartment rooms are nicely designed and separated into two by a bathroom in the middle – parents get the double room with a balcony and view of the port; kids get the twin room set on the other side of the bathroom. You’re close to everything that Marseille city has to offer here but, when in port, one has to take to the water, of course. 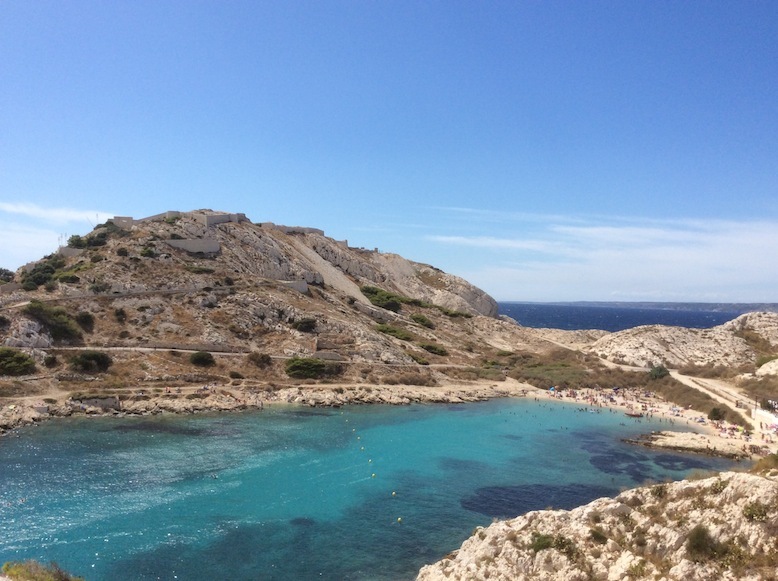 There are plenty of companies in the Old Port offering boat trips to the nearby pretty seaside resort of Cassis or to tour the Calanques where you can bob into hidden coves and beaches which aren’t accessible by foot. We took the shuttle boat (http://www.frioul-if-express.com/en) from the port for a short hop off the coast to the Frioul Islands. 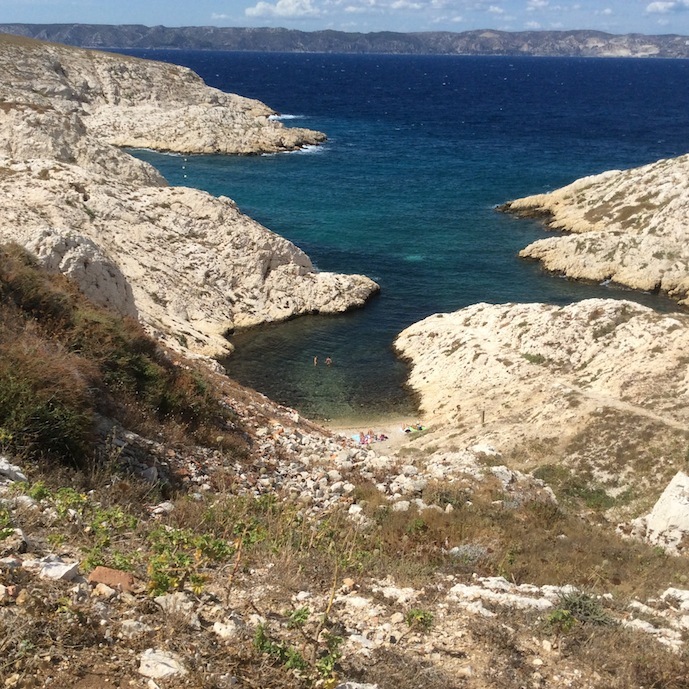 The Frioul Islands are famed for their rare plants and sea birds but our hotel concierge told us to take our swimsuits as there are a couple of safe, pleasant beaches on the island to bathe in. Great tip. A bouncy boat trip in windy weather saw us get very wet on the top deck but a 20 minute walk in the sunshine to the furthest beach (above) meant we were dry by the time we got there. After a swim, head back to port on the island for lunch or a drink – there are plenty of quayside cafes to chose from. 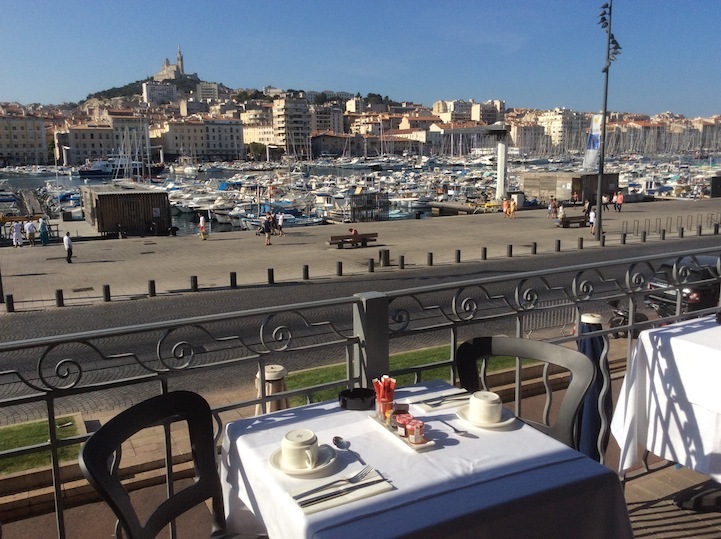 Then back on the boat to Marseille; shower, dress for dinner and wander the warm streets around the harbour to find a place to enjoy an aperitif as the sun goes down.